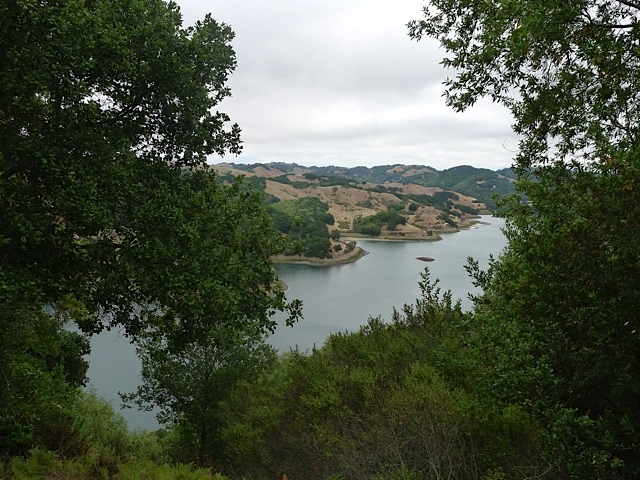 Highlights: If you love the Lafayette Reservoir Rim Trail then you’ll love this hike. It’s a similar degree of difficulty, but a little longer and with fewer people. 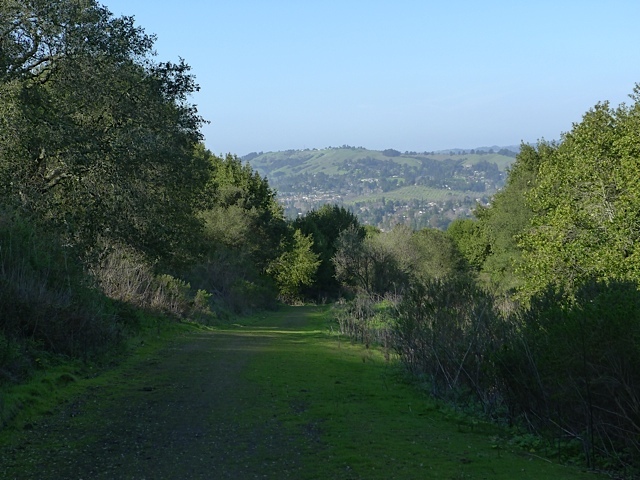 This trail leaves from the Valley Vista Staging Area, just south of Moraga, and skirts along the northern edge of Upper San Leandro Reservoir, which feels a world away from the rat race in Moraga (kidding). 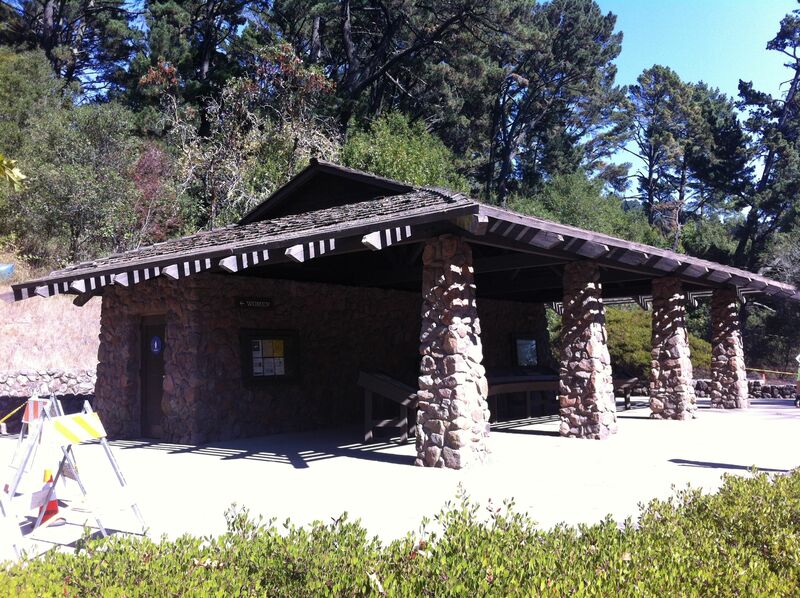 Trailhead: You will see a gate and a sign-in kiosk where you enter your EBMUD permit info. Take the trail to the left. Special Notes: Make sure to bring plenty of water! 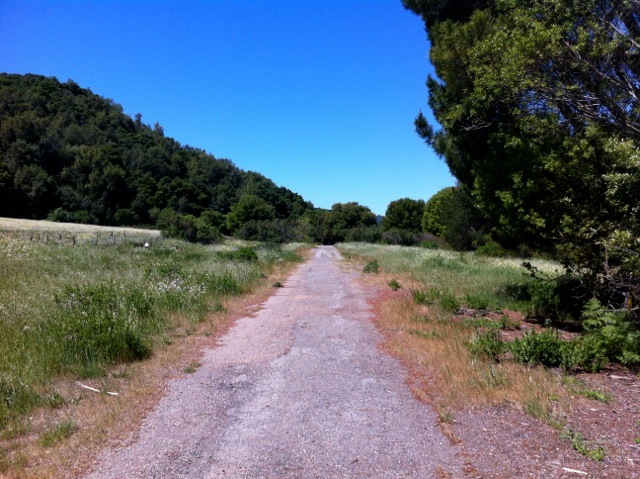 This is the only trail next to the sprawling San Leandro Reservoir, which was completed back in 1926 by the East Bay Water Co. 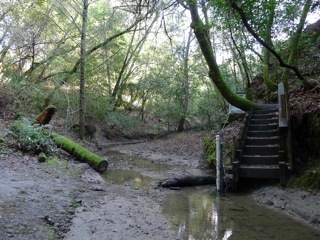 It receives water from the San Leandro Creek, which runs adjacent to Pinehurst Road and the small town of Canyon, traveling a total of 21.7 miles along the eastern side of the Oakland and San Leandro Hills. 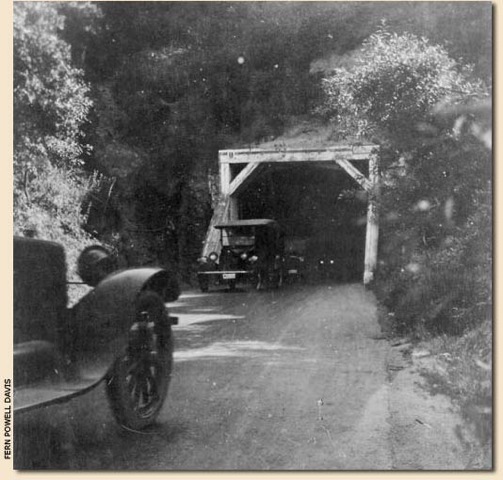 The creek is famous for having been the site of the first rainbow trout hatchery in the world. 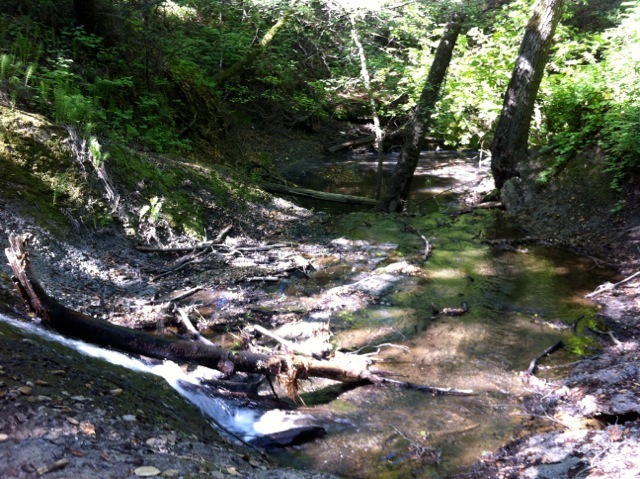 There are signs about the rainbow trout along Redwood Creek in Redwood Regional Park. 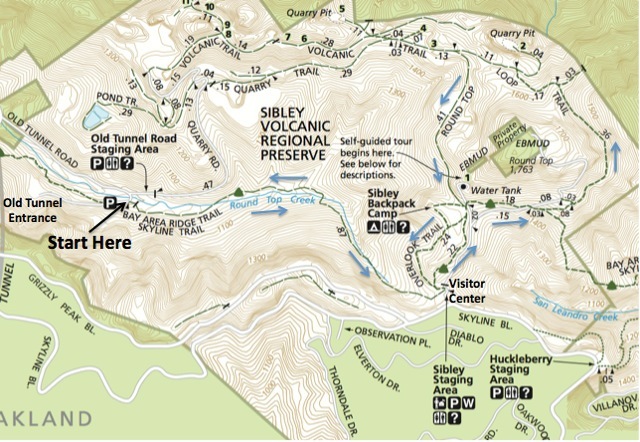 The Kings Canyon Loop starts at the Valley Vista Staging Area. 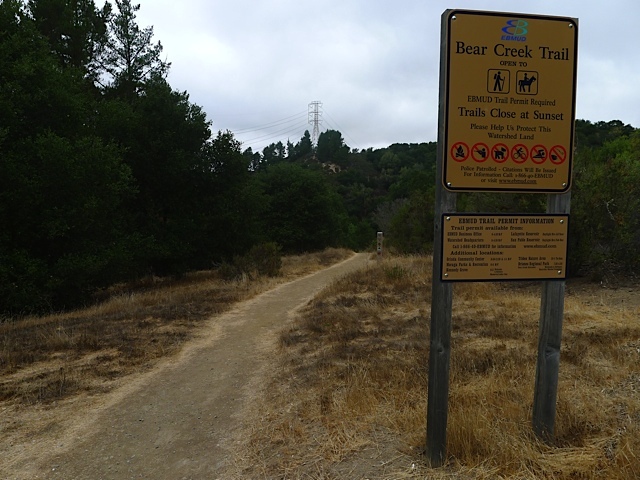 After you go through the gate and sign in (EBMUD permit required), head down to the left towards the reservoir on the Rocky Ridge Trail. 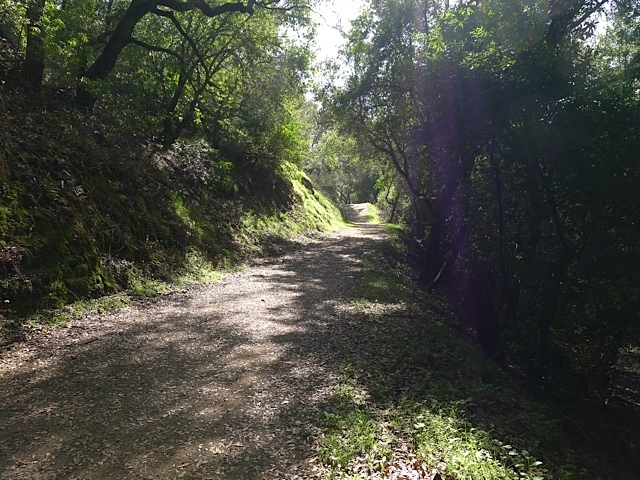 After about a quarter mile, take the trail that veers to the left down a little hill. 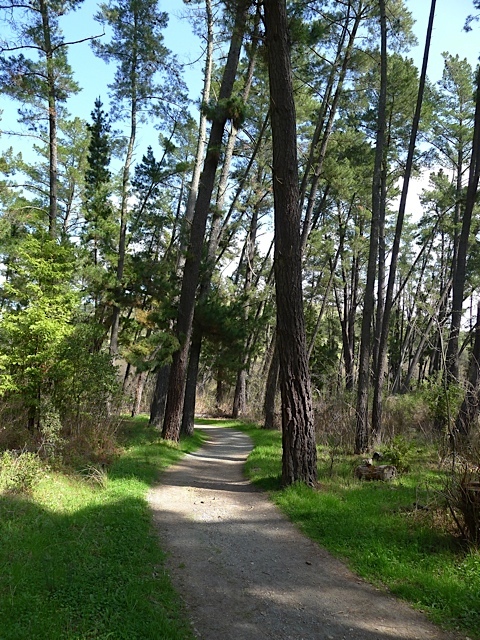 This will take you through a pleasant forest of monterey pines (picture below). 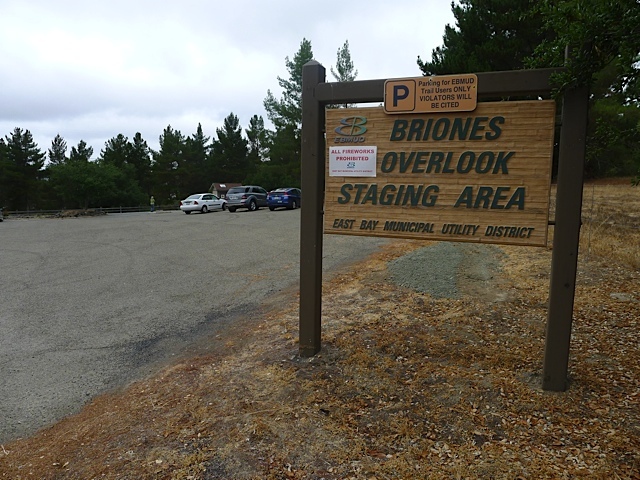 It is native to three very limited areas located in Santa Cruz, Monterey Peninsula, and San Luis Obispo Counties. 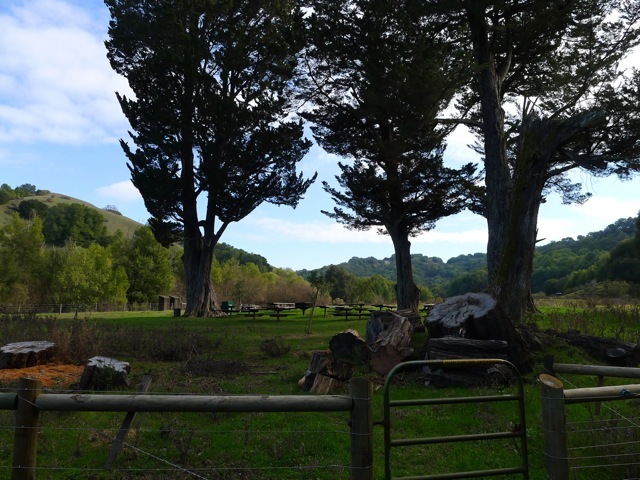 When you reach a fire road, take a right, crossing the bridge over Moraga Creek, and then passing a working ranch area with horses (picture below). After you go through a gate, you will reach a junction. 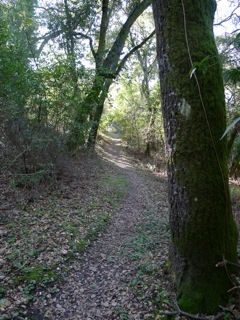 The Rocky Ridge trail goes up the hill to the left. Continue straight or to the right along the reservoir. 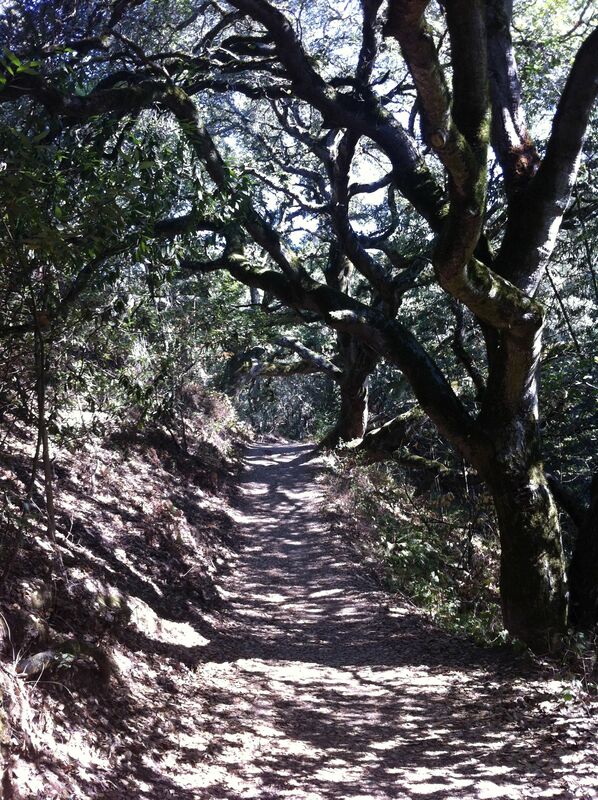 This is the beginning of the Kings Canyon Trail. 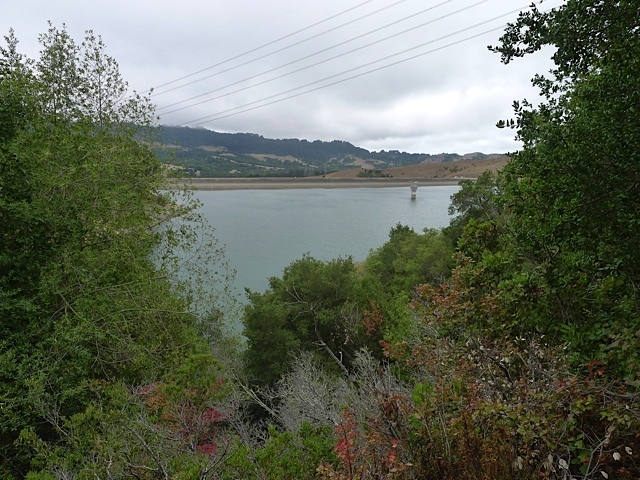 The trail winds, up and down, through a forest of California bay trees and oak trees along the northern side of the Reservoir (see picture). 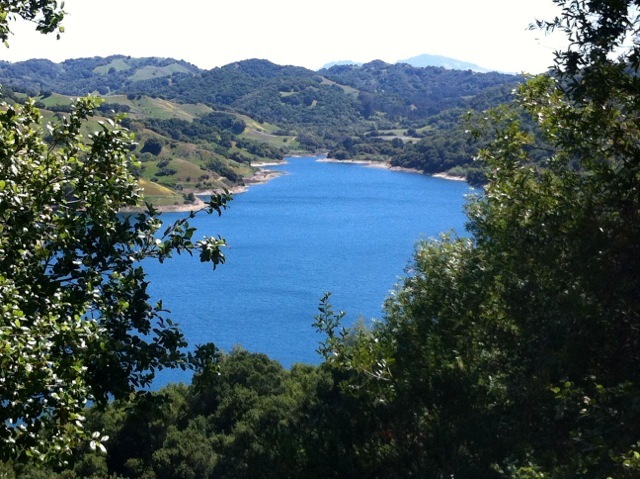 There are many views of the Reservoir along the way, but you’ll reach the best view after about an hour of hiking. 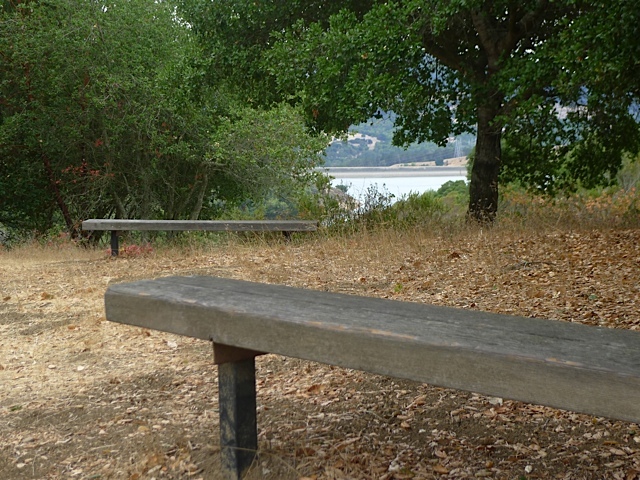 There is a clearing with a bench and a perfect view of the Reservoir looking south (see picture). 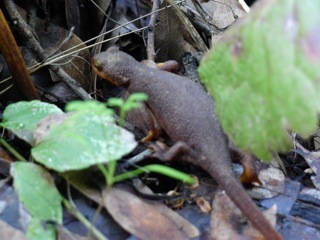 It’s worth a stop for a few minutes! 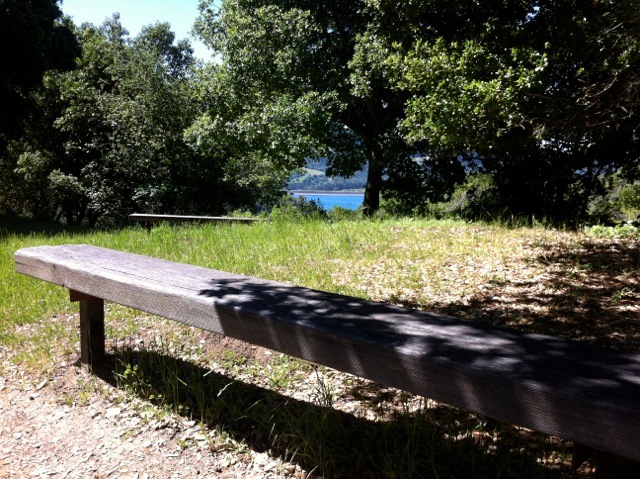 This is a perfect place to have a little snack or picnic lunch. With no signs of civilization in any direction it seems a world away. 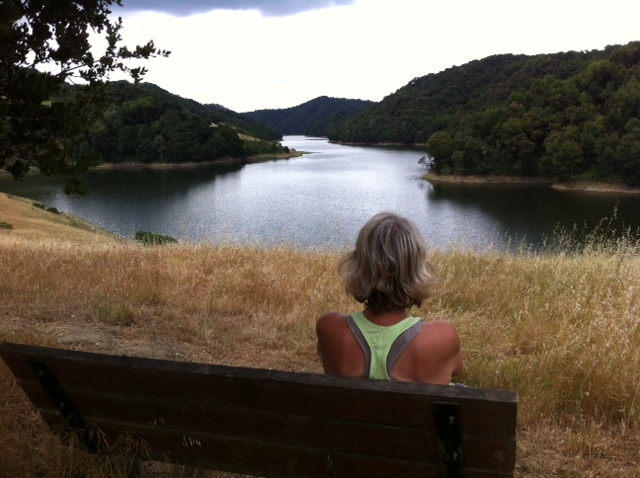 My favorite hiking partner admiring the view of Upper San Leandro Reservoir! 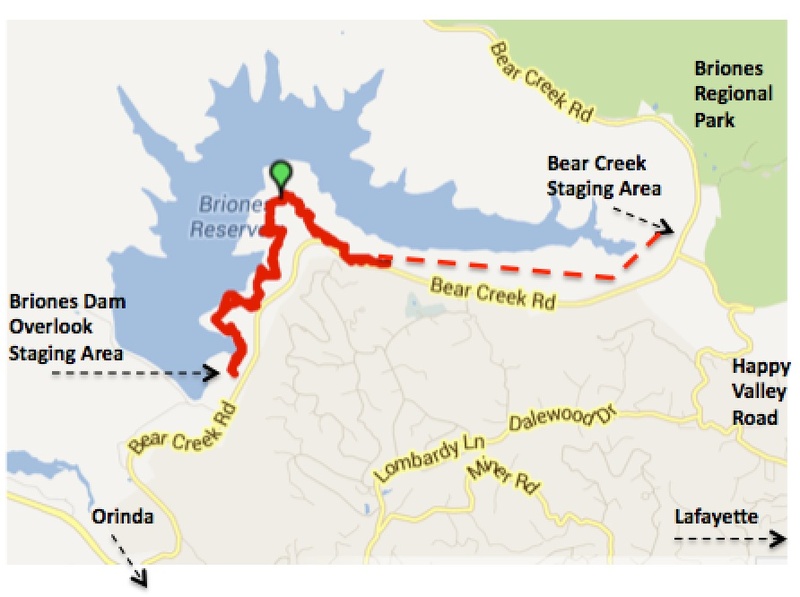 When you continue, the trail will begin to turn away from the Reservoir along an inlet. 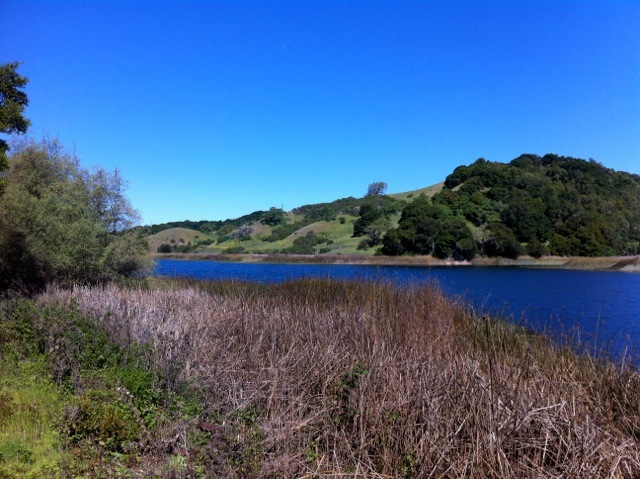 The inlet gets marshy towards the end and is a great place to spot birds. 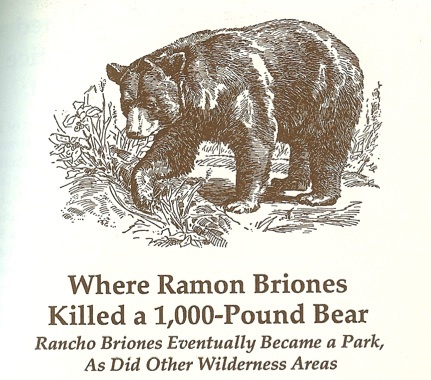 After a little ways you will reach a gate near Rancho Laguna Park. 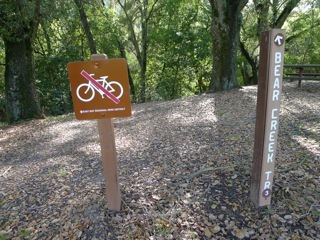 This is officially the end of the Kings Canyon Trail and for the rest of the loop you will be on the Rocky Ridge Trail. From here it’s 2.6 miles back to the parking lot. 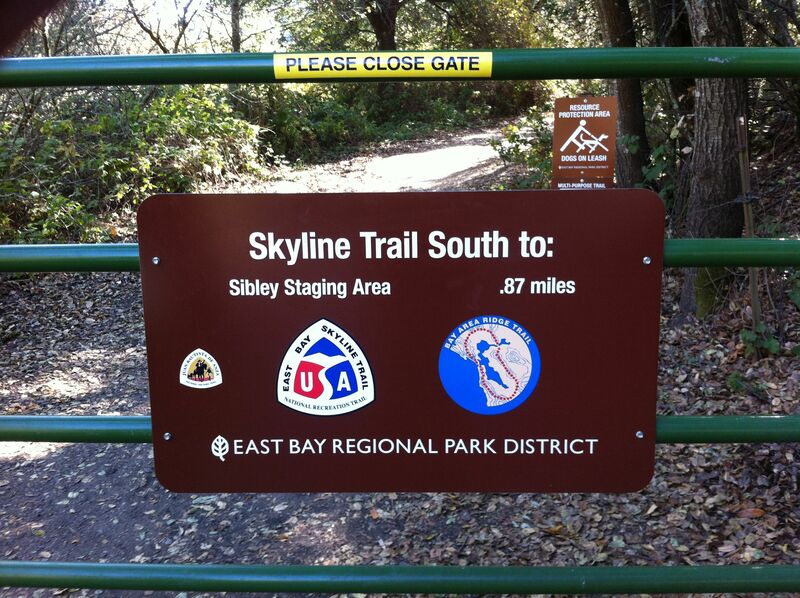 Take the single-track trail to the left. 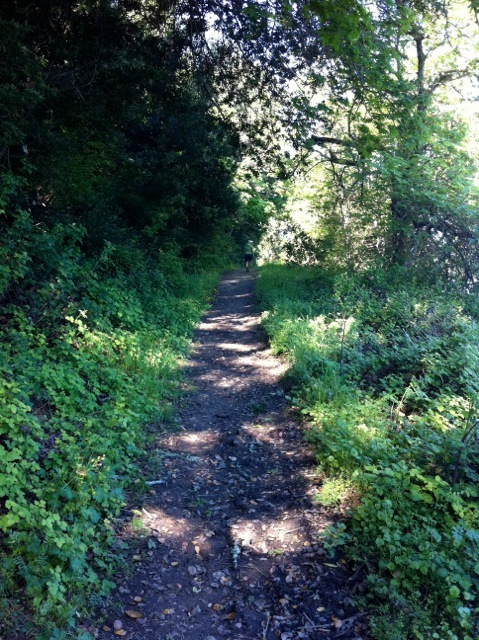 When you reach a tiny creek bed, the trail appears to go right and left. Make sure to go left up the hill. 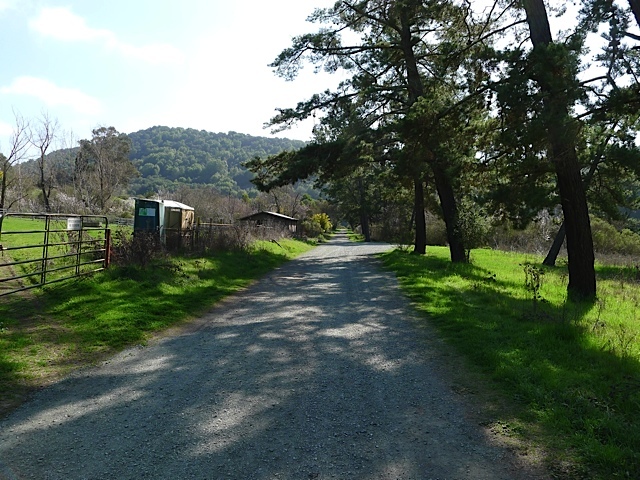 Next, you will reach a fire road that goes straight up/down the hill. Take a left up the hill. This is the steepest part of the hike! Take the second right turn. 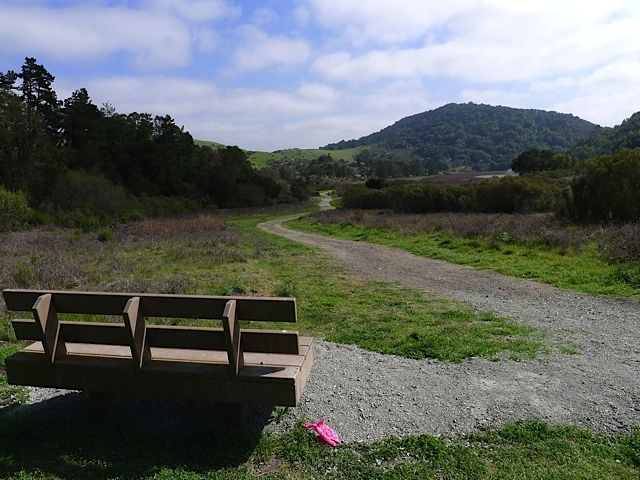 The wrong turns will say “Fire Road Closed to Public.” On the next stretch you will see views of Moraga in the distance and then a great view towards the Valley Vista Staging Area once you emerge from the trees. 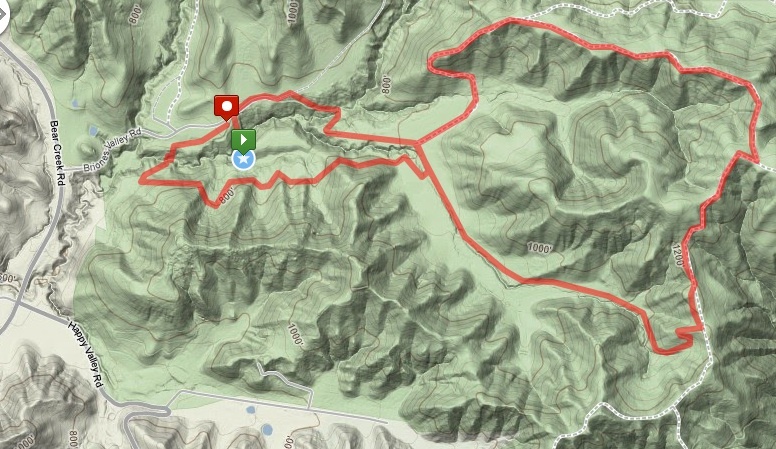 After a steep down section, you’ll reach a junction where you take a left down the hill. Take a right at the bottom, going back to the staging area the way you came. 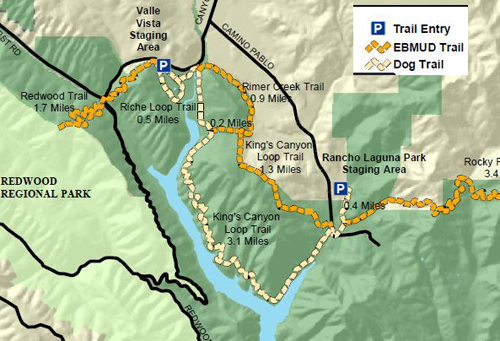 If you don’t have time for the whole loop, you can easily hike as far as you want on the Kings Canyon Trail and then turn around. 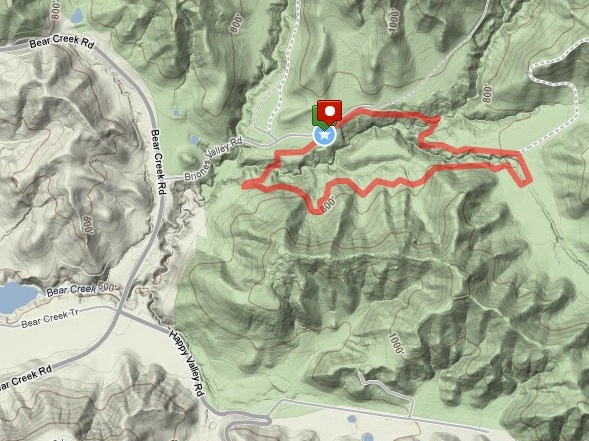 For instance you can turn around at 45 minutes for a 1.5 hour hike.